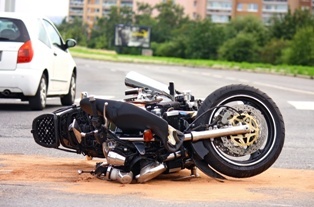 Motorcycle accidents are a daily occurrence on California roadways. Sadly, because motorcyclists lack any meaningful form of protection, they're 28 times more likely than passenger vehicle occupants to die in a crash, per vehicle mile traveled, according to the Insurance Information Institute (III). Learning about the most common types of motorcycle accidents —and their causes—may help motorcyclists avoid them. Unfortunately, motorcycle accidents can lead to serious, life-threatening, or even deadly injuries for motorcyclists, such as “road rash” abrasion injuries, broken bones, amputations or lost limbs, traumatic brain injuries (TBIs), spinal cord injuries—including paralysis—and death. After a serious motorcycle accident, victims may be entitled to seek compensation for their injuries and other losses via an insurance claim or personal injury lawsuit. Do You Need Help Handling a CA Motorcycle Accident Insurance Claim or Lawsuit? If you were injured in a motorcycle accident, you may find yourself undergoing extensive medical treatment, while facing unexpected medical debt and time away from work while you heal. The experienced Rancho Cucamonga motorcycle accident attorneys with the Inland Empire Law Group can help you fight for the compensation you need and deserve. There's a lot at stake after a motorcycle accident—contact us today to schedule an appointment for a free initial consultation.